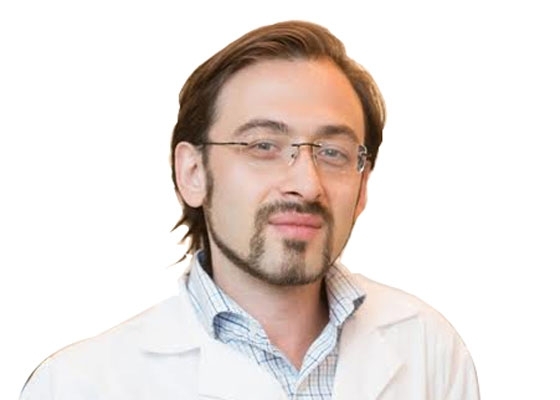 Alex Kazhdan began his healthcare career as a massage therapist in 2004, a major shift from an undergrad background in finance with a degree from Baruch College. Graduating with honors from the Swedish Institute in NYC and becoming licensed nationally and in the state of New York was the first step in the pursuit of what was to grow into a deep and sincere passion for the healing arts and study of the human body and condition. To further pursue an ability to make a lasting difference in patient care, Dr. Kazhdan chose to study chiropractic for its philosophy of conservative and holistic care, without the use of surgery or medications. In 2010, he received Board Certification from the National Board of Chiropractic Examiners to practice chiropractic and obtained license to practice in the state of New York having successfully graduated from Bridgeport University in Connecticut. Continuing his education in healthcare, in 2012 Dr. Kazhdan completed a master’s program in clinical nutrition, recognizing the significant role food plays in wellbeing.